Spring is around the corner and it’s time to start thinking about how you are going to enjoy your outdoor space. 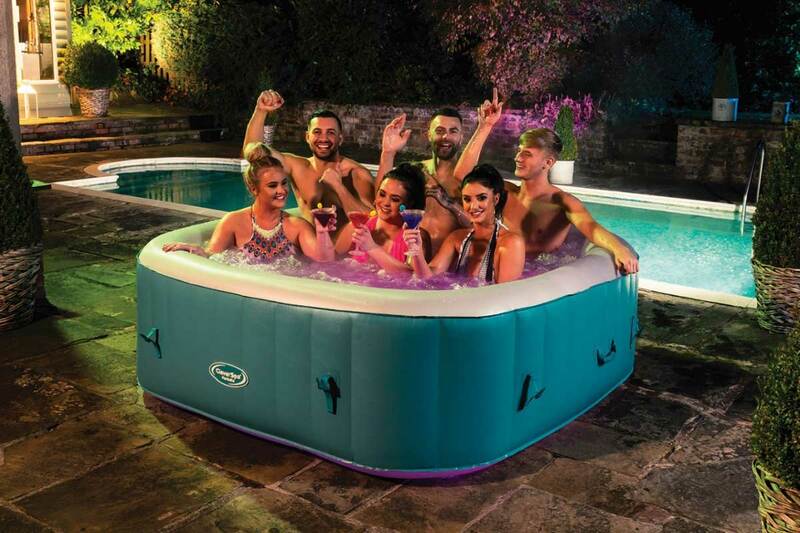 CleverSpa have created some stunning new hot tubs for you to party with friends and family or simply to relax and soothe away the working week! Next week, the CleverSpa Marbella 6 person square hot tub, in a soothing aquamarine colourway, will be available to buy from Tesco. The generous size of the CleverSpa Marbella, makes it the perfect hot tub for sociable people, providing a great location to host parties, especially as this hot tub includes our colour changing LED lights and 140 air jets which will add ambience to any party! 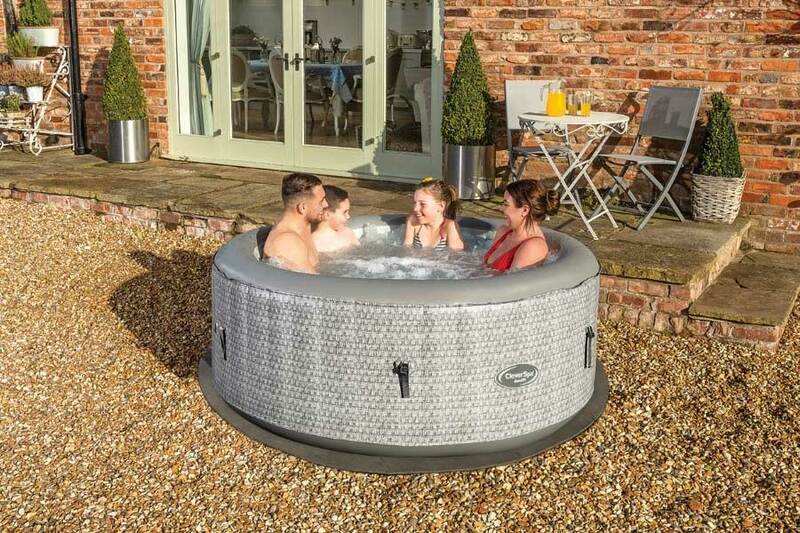 Tesco are also offering the stunning CleverSpa Amalfi 4 person hot tub, featuring a contemporary grey rope design which will suit any garden, patio or outdoor space. With temperatures up to 42° and featuring 110 air jets you won’t have any choice but to relax and unwind. With the pump and heater built into the wall of the hot tub, it is space saving and takes less than 5 minutes to set up. What’s not to love. Why not pop down to your closest Tesco stores and check the range of our products out! You won’t be disappointed!